Author: Lamm, C. Drew Set In . . . 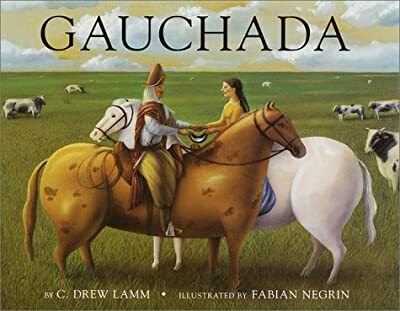 Description: The gauchada offered in this story is a necklace—a token made by a gaucho’s own hand and given with love. First it is given to a grandmother, who cherishes it until she feels moved to give an unexpected gift to someone else. In this way, the necklace passes from hand to hand—from heart to heart. It travels farther than the gaucho who made it will ever roam. But each time the necklace is given, his story is told and his message is understood: Love is meant to be given.